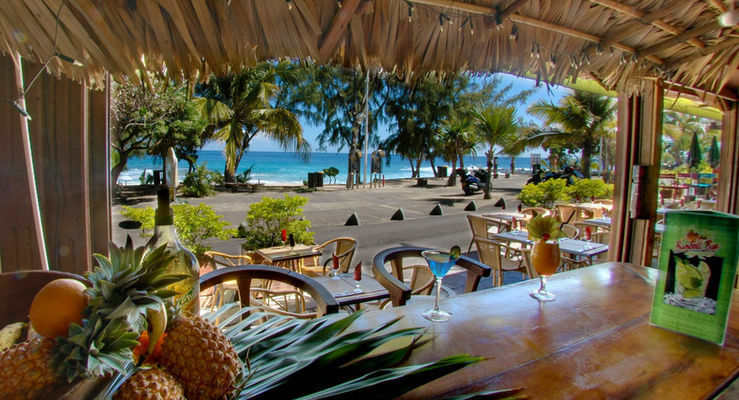 Bambou Bar is a bar-restaurant offering traditional French cuisine close to Boucan Canot beach in Saint-Gilles les Bains. It serves grills, pizzas, and caris cooked in a wood-fired oven, in addition to cocktails served in a tropical ambience with a fish pond. Play area for children.